Session 311. Wild and wooly weather today. We headed to Aspendale and were greeted by a decent bay surf and strong wind. I took out my 9 and was overpowered so after a few runs I headed in, landed it on the very narrow beach and swapped it for my 7. I still had plenty of power, but was now able to surf the waves, some of which were a good size. James and Stuart were having a ball too. 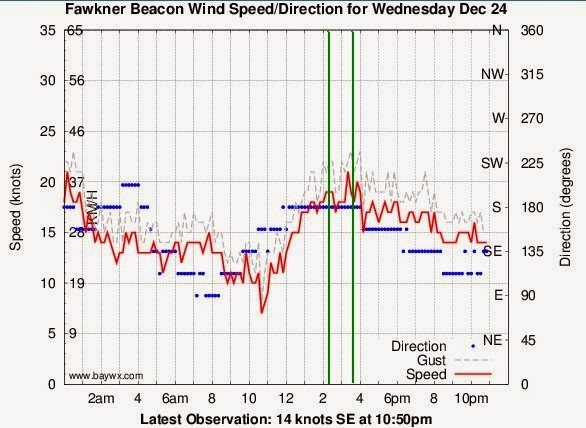 The wind got stronger, up to 35 knots and the waves got bigger. We all landed and packed it in after a very solid session - assisted landing in strong winds is a bonus. I took these photos after the session. December weather in Melbourne can be fickle. We had a nice sunny day at Sandringham Beach yesterday (Sunday 28/10) with less than 10 knots of wind. 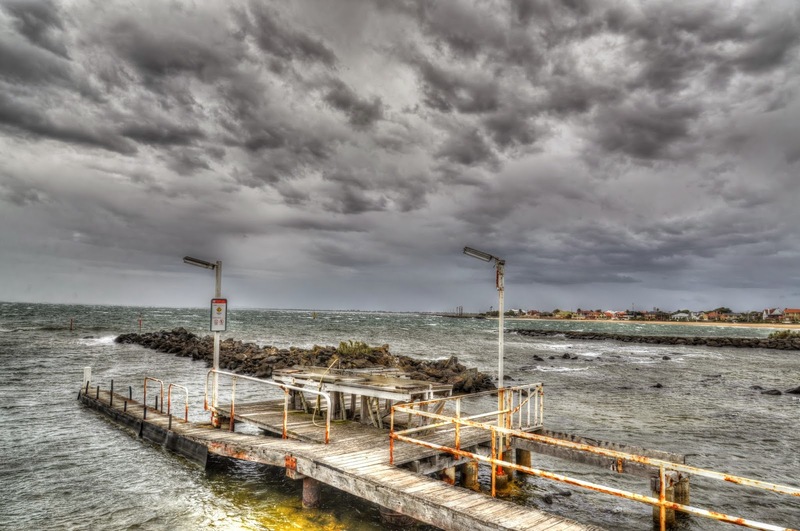 Today, storms came from the West, lashing Melbourne and Port Phillip Bay with wind gusting up to 45 knots. I was happy to have a rest day as my left elbow/arm is sore from all the recent kiting. Its tennis elbow again (overuse). Cesar recommended a couple of hand stretches - wrist up and wrist down - to assist recovery, along with icing and some anti inflammatories. This has reduced the symptoms. With variable wind like today its best to avoid kitesurfing. We stopped at Williamstown beach and watched first the gusting wind then a thunderstorm come through. We stopped at The Zu Boardsports on the way home and had a nice coffee at the West Beach Bathers Pavilion. 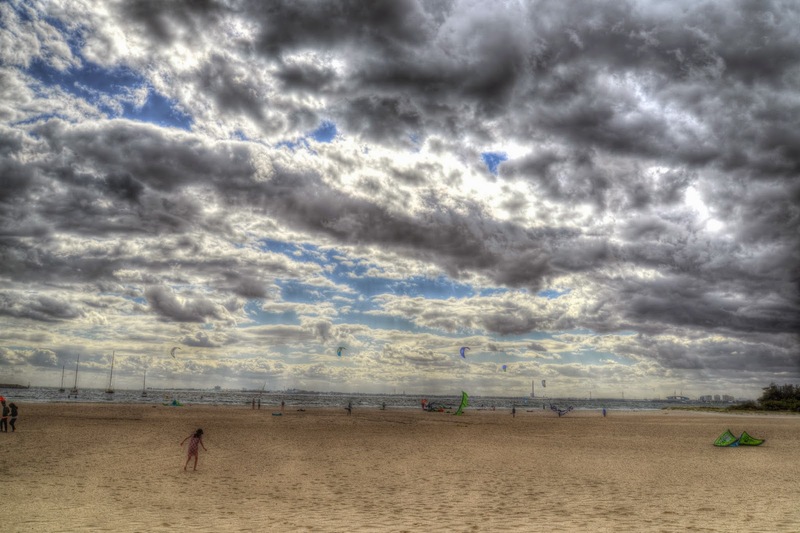 There were about a dozen kiters out in the 20-25 knots, the wind having abated somewhat. 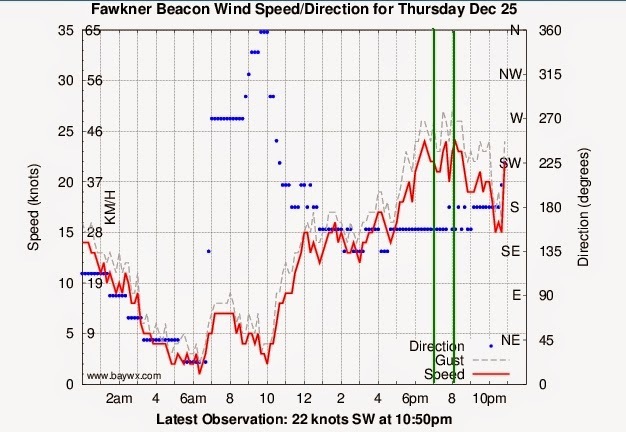 The wind chart at Fawkner Beacon showed the story - huge variability in the wind. 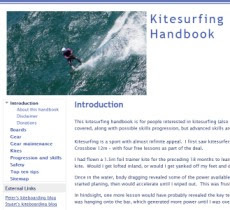 So be extremely careful if you are considering kitesurfing in a Westerly or North Westerly. Its best to wait for more stable conditions. I paddled into the Sandringham Yacht Club marina on my inflatable SUP a while back on a no wind day. I spotted something unusual surrounded by the pontoons - a submarine wreck! I was astonished. I have lived in Melbourne all my life and kitesurfed nearby at Hampton beach on many occasions. I never knew that a submarine wreck was so close. The access to the pontoons is restricted to those with a keypass, but if you ask someone entering the gate if you can have a look at the submarine they may let you in, or you could ask for a pass at the Yacht Club. The submarine wreck is massive at 83 metres and 1700 tonnes. It is the J7, a British World War 1 submarine that was one of six J Class submarines gifted to Australia by Britain in 1919 and was the last J Class submarine ever built. Four of them have been sunk as dive sites in Bass Straight off Port Phillip heads. The fifth is located in shallow water in Swan Bay. The J7 was sunk to form a breakwater for the Sandringham Yacht Club in 1927. When the larger rock breakwater was built pontoons were built around the J7 wreck inside the marina. The sub's rusting hull and fittings are quite remarkable. Very few people in Melbourne seem to know it is there, including many Sandringham locals. Session 310. Time for some more fun. A largish contingent headed to Mentone, left some cars, then on to Frankston to start a downwinder. Some early drama with one kite breaking a bridle line - better done at the start! Stu Styles was on his new North Nugget for the first time and was up and going well. The waves along the beach were good as we tracked down past Seaford. I notices Stu way out so headed out to see how he was going. The left tack was his natural footing so he was making the best of it before coming back in closer to shore. The wind was not very strong so downloops were the order of the day to make good progress. The sun was nice sun too. Its a long distance past the many beach view houses and Paterson River. Arriving at Gnotuk is always good, the rest of the route is more familiar. The others weren't making very fast progress downwind and it was dropping out a bit. I waited on the beach for a short while then headed out on a tack past Mordialloc pier. Coming closer to the beach the wind was dropping out further but the lure of the bay surf proved strong. Eventually I headed straight to the landing zone, happy to have made the distance again. The others weren't too far behind - I landed their kites as they came in. Stu was stoked. As an experienced surfer, he is much more interested in the surboard for kiting and showed immediate prowess. Big smiles on the beach at Mentone all round. My camera battery was not well charged so not very many photos this time. Session 309. We had a pleasant Christmas dinner (lunch), as usual I ate too much. Some late wind enticed me down to Mentone for what turned out to be a great session. The wind was strong and whipping up some nice waves. I took out the S-Quad with footstraps to handle the bigger surf and do some jumps. I was well powered on the Lithium 9 set to the lower knots (rear lines). Two other kiters were out on surfboards so it wasn't crowded. I tried one upwind tack and managed to get the board around upwind, but no duck tacks or backrolls today - the waves were too much fun. I definitely worked off some of the turkey and pudding! The evening sun provided some excellent light with some clouds in the distance that brought rain over Melbourne later in the evening. Session 308. Snuck out for a 1h session in the before Christmas eve. James made it down there too. 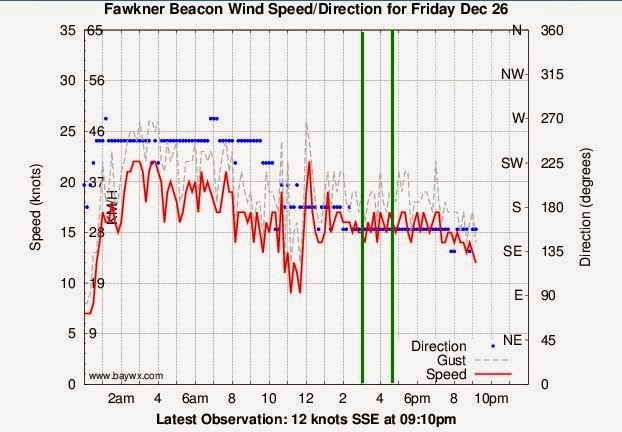 There was not quite as much wind as last night but I was going well on my 9 and the Nugget strapless. Tried a few duck tacks without any more success, and a few Strapless Tacks - which are not as weird as the Duck tack but its challenging to get the board around. Nice to get some exercise today rather than sitting around eating too much! Session 307. A kitesurfing session is the perfect way to end a busy short week at work in the lead up to Christmas. A solid southerly arrived during the afternoon but it looked frontal. It had mellowed by the time I got to Hampton at around 7p.m. Only 3 kites on the water! Where was everyone? I did for backrolls with the surfboard and made it around it each time. Twice I was yanked downwind as the kite redirected though. The backroll is not hard but commitment is needed to do it. I tried one duck tack too - managed to spin around but was also yanked off the board. There was a nice bay swell with some big rollers. The water was warm and the breeze strong but curiously warm for a southerly. New kite! I now have an Ocean Rodeo Flite 14.5m kite with the ATB bar. Its an ex-demo kite and the 2013 model. I am hoping the kite will cover light wind conditions below what my Lithium 12 can handle (about 12 knots), and that it will go upwind better than the Lithium Zero. I opted for the 14.5m version rather than the 17 as I think the North Nugget or Sector 60 will compensate for the reduced size and it will be easy to turn and go upwind. A good selection of patches, some spare line attachments and a simple manual are included. The kitebag is nicely made and has tuck away shoulder straps. The bar has its own mesh bag. The kitebag includes a couple of internal pockets for the spares and patches. Nice. A kite strap is included - handy for packing the kite away. The leading edge is big but not huge. Construction is neat and sold - its made in China. The kite is easy to inflate (single pump) and the lines are easy to rig. The bar has a cleat for depower, above the bar. It will be interesting to see how that goes. Three struts means reduced weight and better flying. I took the kite down to Mentone hoping for around 12 knots, but there was only about 5 knots blowing. I hot launched the kite to get it in the air. Once up it flew nicely and turned well. There was not enough wind to get going though. Stay tuned for the first ride report.